On a clear day, there's a great view of Mt. Rainier from Owen Beach at Point Defiance Park in Tacoma, Washington. 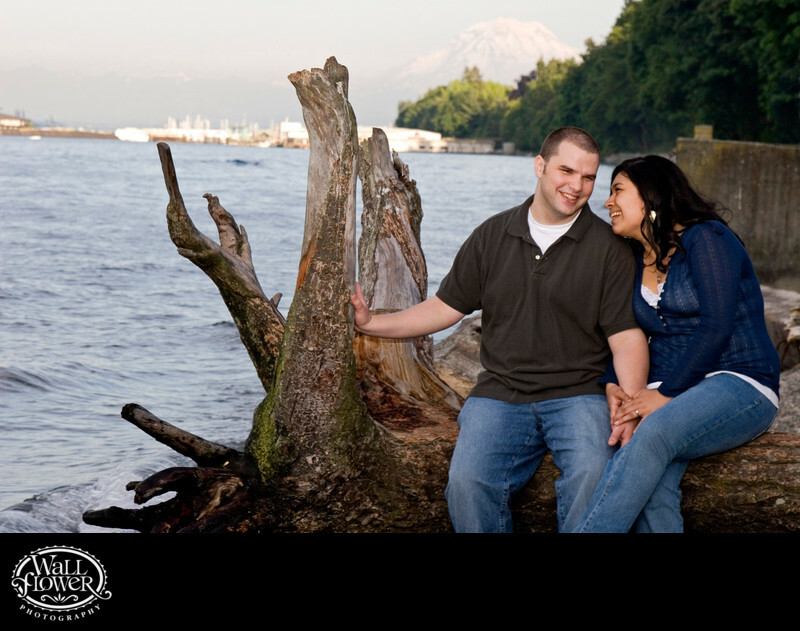 I posed this couple sitting on a driftwood log on the beach to create the best angle for including that amazing mountain behind them, along with the waters of Puget Sound and even a bit of the Port of Tacoma in the far background.